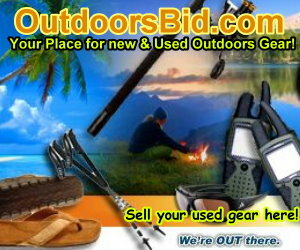 For the best chances of success and making sure you are getting the best price for your “Experienced” outdoors gear you should try some of the methods of promoting your auction listed below. There are many people who want to try a new sport but don’t want to spend the cost of new equipment. You just need to know how to reach them. Contact us and we may be able to help with our social networking resources as well! Twitter is popular, people share their world in 140 characters or less, why not share your auction as well. You probably already have an account, and if not, it’s very simple to set up. Then just slowly build enough followers so that you can share your auctions with them and promote your auction listings. Be careful that you don’t just use Twitter to promote auctions, share other things as well and comment on other people’s post. By constantly just trying to sell things or promote, those followers you have will begin to remove them themselves and make it more difficult for people to take you seriously. Since you are only allowed 140 characters, use a service like Bit.Ly to shorten the link to your auction and let your followers know what you are selling, and still have room for a killer headline. Twitter is not the only girl at this dance as you can also use Facebook to promote your auction. If you have enough friends following your timeline it makes it a bit easier, but Facebook gives you many other opportunities to promote your auctions. There are many groups that focus strictly on the activities for which your item is used but their are also many groups that support advertising of products for all kinds of Outdoors products. These group pages that are available but check the rules for each group as some may have issue with types of products, etc. Type auctions or a specific activity such as Camping into the search box and filter on groups to find some of the more popular groups where you can promote your auction. By leaving comments on other websites related to the item you are selling, such leaving comments on a blog that is about Deer hunting if you are selling a used tree stand, or leaving a comment on a Scuba website if you are selling a Mask and fins, you will gain credibility and interested parties as long as you do not seem like you are spamming that site. Provide well thought out and appropriate comments that contribute to get accepted by those blog readers and perhaps get a link to your listing. Your comments will also tell other visitors or readers that you are someone they can trust and they will visit your auctions as well. Promote your auction via Google adwords can be very effective, it can be very expensive as well. This only a method to consider if you are selling something of considerable value on very unique as generally the cost is not worth the return for average items. Google Adwords is not too difficult to figure out but you need to fully understand how to create and advertising campaign before spending money on using Adwords. The good thing is that you can budget your spending and limit the amount that you are willing to spend per day, per auction, per click.